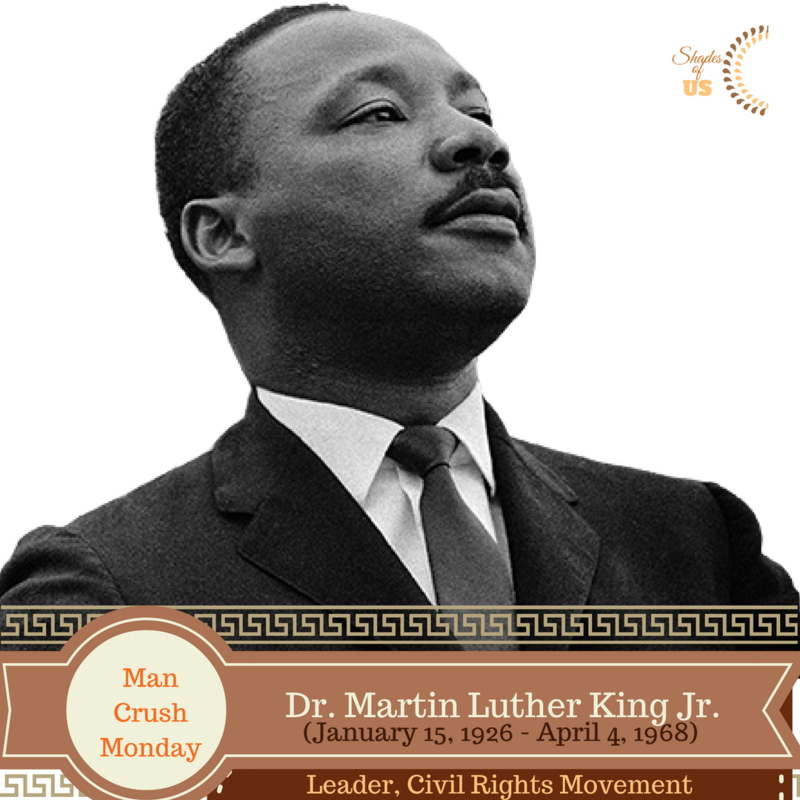 Our man crush is Dr. Martin Luther King Jr.
Dr. Martin Luther King was born Michael King Jr. on January 15, 1929. He was an American Baptist minister and human rights activist. He was also a leader in the Civil Rights Movement. He is best known for his role in the advancement of civil rights using nonviolent civil disobedience based on his Christian beliefs. We celebrate Dr. Martin Luther King Jr. not just for being a dreamer but for working hard at his dreams. He refused to take the easy route by living as expected. He believed in his (and everyone’s) rights to fairness, justice and equality. He also believed he could achieve this through non-violence and his example is worthy of emulation. Many people do not talk about his weaknesses. We are always peppered with his strengths and wonderful speeches but Dr. Martin Luther King Jr. was as in touch with the chinks in his armor as he was with his drive for justice. It is worthy of note that Dr. Martin Luther King Jr. suffered depression for most of his life and even attempted suicide by jumping out of a second story window. He didn’t let what many would have considered ‘failings’ to affect his life. Instead, he pushed harder and gave his all; even his life. He was murdered on April 4, 1968. Fighting for what he believed in led to improvements (generally) in the way black people were treated in the United States of America. His influence spilled into the rest of the world and he is revered globally. Are the lives of African Americans totally without hitches because of the work of Dr. Martin Luther King Jr? Not exactly. But we can attest to the fact that it is better; even if only a little. Dr. King fought not to just to win but because it was the RIGHT thing to do. And for that, we celebrate his awesomeness. Take a cue from his life and fight for what you believe in today.